Police, bail justices and Magistrates in Australia work hard to ensure that bail legislation is applied fairly and correctly. The terrible event in Melbourne a week ago has left many Australians questioning bail laws. Why was the person who allegedly committed the crime free on bail? Five people are dead and many more were injured. Could we have prevented this? Australians start to reflect about whether anyone should get bail. We think that if you’ve been charged with a crime you need to be locked up immediately because you could do bad things. But this is not how our justice system works. Everyone is entitled to the presumption of innocence. It is an important feature of the rule of law. A person is presumed innocent until they have been proven guilty in a court. This is a basic tenet of the rule of law. Following on from the presumption of innocence is that a person charged with a crime may not be guilty of that crime and therefore should not be held in custody before or during the time that the case is heard by a court. The development of common law rights has occurred over hundreds of years during which the practices and values of the legal system and the courts have recognised certain principles as essential in maintaining equality before the law. It actually started before the Magna Carta. But this Great Charter is one of the first recorded documents. The rule of law has evolved over at least the last millennium. The Magna Carta first sealed by King John in 1215 was one building block that has influenced many other charters, bills, petitions and Constitutions (including ours). King John had become a bit of a tyrant and had begun locking up people that opposed or challenged him, he was taking people’s property and basically extorting them. Some of the landowning men of the time (known as the Barons) revolted and forced King John to put his seal on the Great Charter that restricted his powers. (39) No free man shall be seized or imprisoned, or stripped of his rights or possessions, or outlawed or exiled, or deprived of his standing in any way, nor will we proceed with force against him, or send others to do so, except by the lawful judgment of his equals or by the law of the land. (40) To no one will we sell, to no one deny or delay right or justice. You can see the beginnings of innocent until proven guilty and the principle of bail with no free man (this was written by the aristocracy) should be imprisoned….except by the lawful judgement of his equals (the beginnings of juries). King John wasn’t that happy about being forced to seal the Magna Carta and very quickly disregarded it. War broke out again. But he died just over one year later and his nine year old son Henry became the King. The Magna Carta was slightly changed, reissued and sealed by King Henry and things settled down for a bit in England. Over the next century or so, the Magna Carta was reissued when the landowning men needed to be reassured about royal power. Once an idea starts to spread, it helps to influence new ideas and so other documents were created, including the English Bill of Rights. Following on from this was the US Constitution and even the Australian Constitution. The requirement for an arrested person to be taken before a justice without unreasonable delay reflected the common law solicitude for the liberty of the subject, 'the most elementary and important of all common law rights' (Justice Wilfred Fullagar). Each of the States and Territories has their own legal systems and as such their own bail legislation. Federal bail laws are found in the Crimes Act 1914. Bail is a long established practice in criminal law, allowing accused people to remain in the community until their charges can be heard by a court. It ensures that people accused of crimes, who may be not guilty of some or all of the charges, do not unnecessarily spend time on remand. In most cases in Victoria (over 90%) bail is granted by the police. If the police refuse bail, then a person who is called a bail justice may hear the case. If the police cannot get the accused person in front of a bail justice or a judge within 24 hours, they are entitled to bail. So you can see there is a bit of a rush on. We’ve heard a fair bit about bail justices in the last week. Their service has been suspended at the moment. But there is a reason why the Victorian justice system uses them. It can be difficult to get a person who has been accused of a crime in front of a Magistrate within 24 hours to decide on bail, so they have Bail Justices who can come into the police station outside normal hours. These people are volunteers, must complete training and have an understanding of and be able to apply the bail legislation. So in most cases the police bail people. But the police can't bail recidivist offenders. This is when a Bail Justice is called in. If that person is denied bail by a Bail Justice they must be brought before a court in the next available court sitting day to have their bail formally decided by a Magistrate. So if the police don’t give you bail and the Bail Justice doesn’t give you bail, then a Magistrate will hear your application for bail. 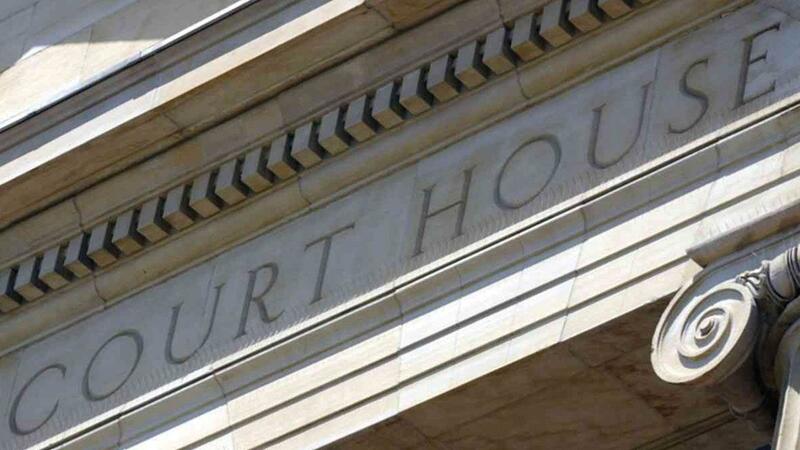 The Victorian Government has pledged to initiate a night court where bail applications will be heard by a Magistrate, instead of using the Bail Justice system. Our System of Government and Constitution were designed using common law principles that have evolved over a millennia. Common law values provide a foundation for the protection of rights. It is always difficult to strike a balance in legislation between protecting an individual’s right to freedom, including the presumption of innocence and the rights of the community to be safe. When unspeakable crime occurs we all reel in shock. We ask how did this happen and how do we prevent it happening again. The tightening of bail laws sometimes becomes the focus. That’s why it’s important that we know the history and facts about the rule of law and our justice system.